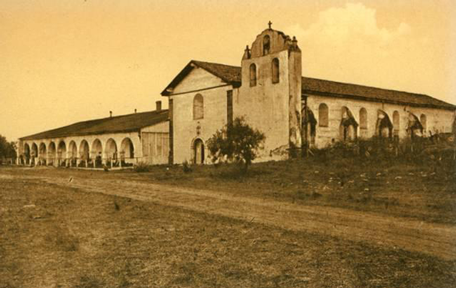 Mission Santa Inés, founded in 1804, was the nineteenth mission dedicated. It completed the chain between San Francisco and San Diego. The mission's inland location in a fertile valley allowed for prosperity and rapid expansion. It became known for its large herds of livestock and its rich crops. Travelers were rare at Mission Santa Inés because of the considerable distance from the highway, El Camino Real. The first buildings were destroyed in 1812 by earthquakes. Rebuilding was completed in 1817. Today, the visitor sees the church as it was completed then. The church building is a simple design. Indian murals can still be seen inside the church. A museum is maintained with many artifacts, painting and sculptures. Its charming simplicity makes Santa Inés one the most beautiful missions.